Children of Divorce research papers look at the statistics of how children are affected by divorce. There are numerous reasons why marriages end. Often caught in the middle are children, for whom a parent’s divorce can be confusing, sad, and stressful. In North America, about half of all children will experience the divorce of their parents, with another half of that group experiencing a second divorce among a parent. Children of divorce are statistically more likely to require professional counseling, in order to help them cope. It has been estimated that about 40% of children in America today are growing up in homes without a father. Children of divorce are more likely to experience adverse health effect, including emotional health. Even six years after the divorce of their parents, many children continue to report feeling lonely, unhappy, and insecure. Parents can and must play a vital role in helping their children through the divorce process. Through the simple maintenance of routine, parents can demonstrate stability and structure. Further, by maintaining a healthy relationship with an ex-spouse, as opposed to acrimony, parents can help children of divorce avoid many stressors that come from witnessing fighting. Children of divorce still need both parents. It is important for the separated parent to continue to be involved in their child’s life as much as possible. Parents may not be able to remain married, but they will always be parents. Family Typology in the 21st Century - Family Typology of 21st Century Research Papers delve into the changes in households in past century. Family Diversity - The divorce rate first rose and later fell, but left in its wake a number of unmistakable trends. Importance of Marriage - Paradoxically, today's marriages are also weaker in terms of divorce rate. 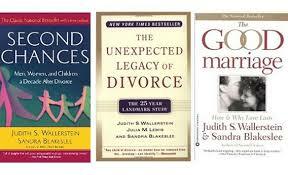 Divorce Rate research papers examine the demographic surveys of divorce rate in the United States. Divorce and the Effects on Children research papers delve into the emotional and psychological effects on children. History Marriage America research papers examine the evolution of the importance of marriage over the eras in America. Importance of Marriage research papers examine the importance of the institution of marriage by way of historical, social, and economic research. Paper Masters writes custom research papers on Children of Divorce and look at the statistics of how children are affected by divorce.